I was a panelist! - i like comics too! It’s official, I was a panelist! Not only was this my first time attending San Diego Comic Con (SDCC), but it was also my first time ever invited to be on an actual panel. I’ve attended countless across many conventions in the past, from NYCC to MetroCon, but it’s an entirely different experience sitting up on stage beside your peers and pouring your heart out about something you feel strongly for… in front of a huge room of people. It was terrifying, it was thrilling, it was cathartic and, above all, it was fun! The pop culture explosion through gaming, comics, TV, and film has opened up new opportunities for cultural diversity; however, many obstacles still exists. 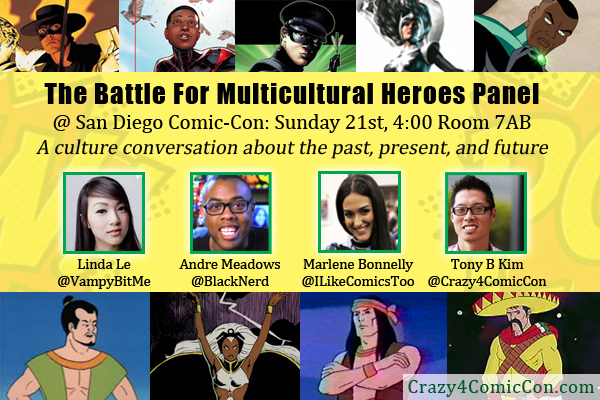 In this humorous but poignant discussion, Diverse geek experts discuss breaking ethnic stereotypes and what changes need to happen for us to boldly go into the future. Panelists include Tony B. Kim (founder of Crazy4ComicCon.com), Andre Meadows (creator of Black Nerd Comedy on YouTube), Linda Le (cosplayer and designer), and Marlene Bonnelly (producer of ILikeComicsToo.com). Andre, Linda and Tony are all wonderful and incredibly talented people; I couldn’t have asked for a better group to speak alongside. We were also fortunate in drawing such an amazing and diverse crowd: con-goers of all different backgrounds and walks of life came to show their support, learn and ask thought-provoking questions. 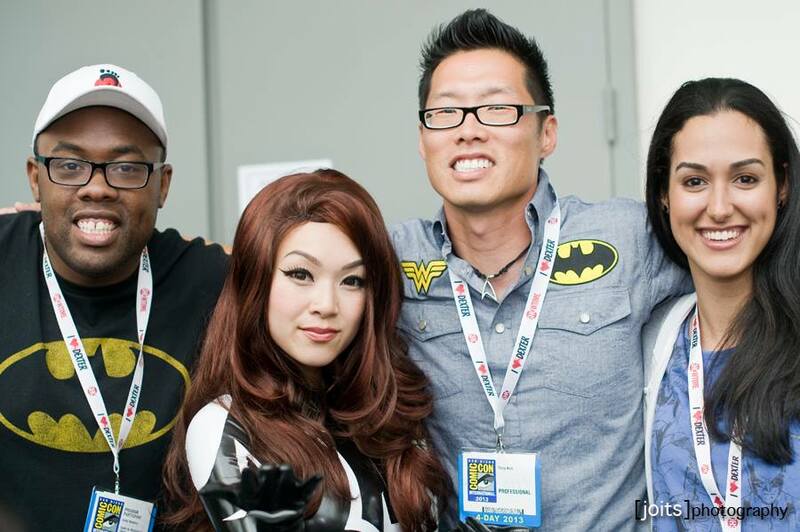 Even before SDCC actually began, the Internet shared its stories and opinions on the subject, answering our questions about multicultural representation in comics and movies. The only pitfall we faced the day-of was the unfortunate time limit… otherwise, given the line that formed at the microphone, we would have gladly been there all night! Thanks again to everyone who showed up, commented, tweeted and made this happen. If you’d like to see something like this occur next year, please be sure to write in to SDCC and let them know! Pingback:	ilikecomicstoo @ NYCC 2014! - I Like Comics, Too! - I Like Comics, Too!